We are frequently asked some common questions about the products we offer, the machines we place and the services we provide. 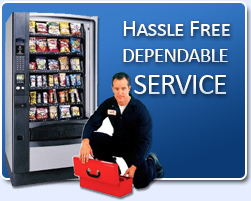 Below you will find the answers to some of the questions we are asked most often, in these answers you’ll also see why we believe Golden Valley Vending is the best vendor for you and your company/organization. For clarification on anything listed below or to ask any other questions please feel free to contact us at your convenience at 559-686-4892 or email us at info@goldenvalleyvending.com. One of our team members will be happy to answer any questions you may have. 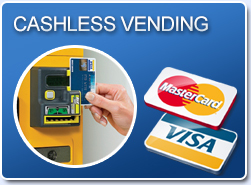 Golden Valley Vending will provide the machines and service free of charge. As often as needed. Your size and volume will determine your re-stocking schedule. Most accounts will be re-stocked a minimum of once a week. 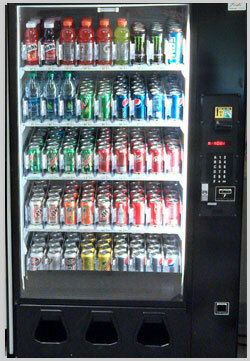 Can we earn revenue from our vending machine sales? Yes, many of our locations receive a percentage of their sales back in the form of revenue share. Revenue sharing is done on an account by account level and is relative to pricing. Just ask us how you can get involved. The machines coming in will be new or near new. The machines will be in excellent condition. Vending machines from time to time do take people's money. Please call us when you are having issues with a machine. We can usually be there to fix the problem and give you a refund within a few hours of being notified. Our route drivers will also issue refunds. A refund kitty can be supplied for immediate return if account requests it. Once a problem has been brought to our attention we generally respond within a few hours. 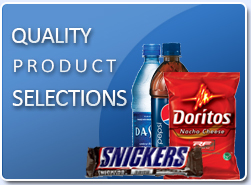 Keeping our customers happy and our vending machines stocked and functioning properly is our #1 priority. 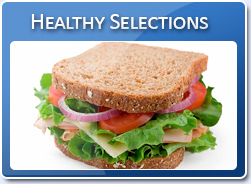 Who selects the products that go in the machine? Each new account will be supplied with a menu of our products which will allow them to select what they would like to see in their machines. In some cases we will go ahead and fill the machines with what we think will be popular products. We have been in the business a long time and more than likely have other accounts with similar demographics to your account. However, we are always open to suggestions from you and your employees at any time.